The danger of uncontrolled explosions of pyrotechnic devices cannot be overlooked. Land that has not been probed presents risks that are likely to disrupt the continuity of business at a site. Pyrotechnic diagnoses, pyrotechnic soil remediation and securing probing and drilling operations are all essential services for the safety of the physical facilities of public and private organisations. The services offered by the Risk&Co Group are aimed at government institutions such as the Defence Ministry’s infrastructure development departments (ESID/USID/PMO) and local authorities. In the private sector, construction companies, groups in charge of developing power infrastructure and companies engaged in the fields of transportation and port activities (maritime and fluvial), are privileged customers of the Risk&Co Group. The Geomines Business Unit’s teams can draw on its solid experience and full command over the skill-sets required for pyrotechnic diagnoses and landmine and explosive ordnance clearance activities in terrestrial and aquatic environments. Its teams have the appropriate equipment (mine clearance robots and dedicated software) that help them enhance their speed of action while reducing risks for operators. 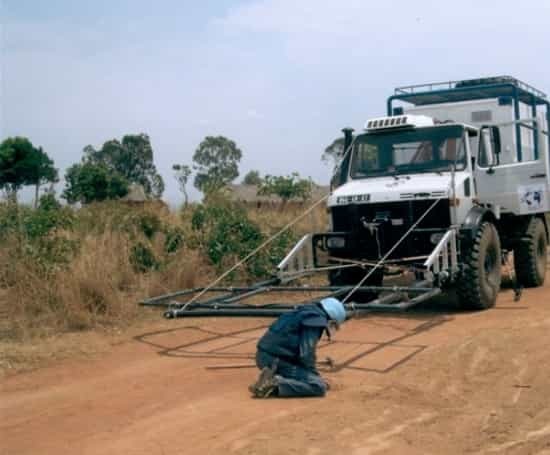 Clearance of landmines and explosive ordnances, both terrestrial and maritime, with particular attention to the compliance of clearance actions with the environmental standards in force. Geomines’ teams are able to work anywhere in the world, both independently and in support of engineers and consultants in charge of providing support to the Risk&Co Group’s clients in unstable areas. The Risk&Co Group also conducts numerous training activities in mine clearance in conjunction with French administrative departments (MoD, MoFA), mainly abroad. 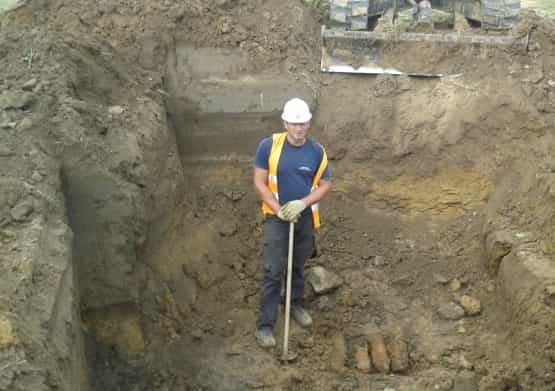 Geomines’ teams regularly work abroad to ensure the dismantling and destruction of ammunition stockpiles.